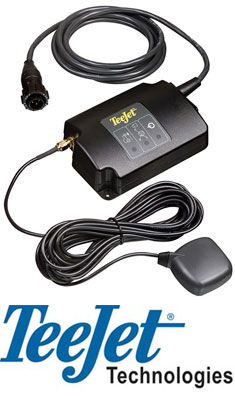 Eliminates problems frequently found with radar speed sensors on wet surfaces, with moving crops, or vehicle vibration. Convenient enclosure mounts inside cab, only a small patch antenna is mounted outside. Status LEDs show power, GPS lock and speed output conditions. Wide range of adapter cables available making it compatible with all popular application rate control systems. State of the art GPS engine delivers better performance than many comparable units on the market. Speed range of 5.-80+ mph (1-130+ km/h).